The Vectra was HP's first IBM-compatible PC. It was introduced in 1985. 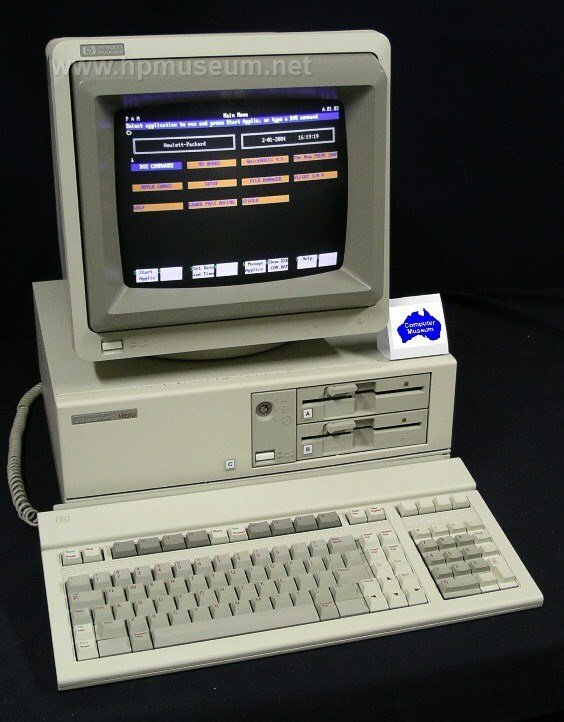 While the 150 had been HP's first MS-DOS computer, it did not succeed because it was not program compatible with the IBM PC and it did not come standard with a 5.25 inch floppy disc drive. The 150's 3.5 inch floppy discs were superior to the 5.25 inch discs of the day, but IBM compatibility was more important than technical performance. The Vectras also marked HP's shift away from using many internally designed and manufactured components to using primarily third party components. In the early to mid 1990s, HP also phased out final assembly of the Vectra PC line and became an OEM purchaser of complete systems. The Vectra name was used as HP's brand for "industry-standard" desktop PCs from 1985 until the Compaq acquisition in 2002. The original Vectra was not especially successful. It was not fully IBM compatible and it carried a high price. It was not until the early 1990s that HP was able to achieve a top 5 position in the market by offering both a high quality product at a competitive price. From the time it entered the PC market (in 1981 with the 100 Series), HP's domestic sales exceeded its international business. International sales surpassed sales in America for the first time in 1986. By 1990, HP was selling more than twice as many Vectras overseas as it was selling in the US (when the annual business was worth about $600M). For more information on these products, be sure to sure to visit our HP PC Communicator library. The museum has an extensive collection of software available for download for these computers. Click here for the software listing.